Our challenge begins when the space has other sized windows within the room along with a small window. Sometimes the smaller window does not have the same head height as the larger windows in the room. This is when making the small window an architectural element works well. 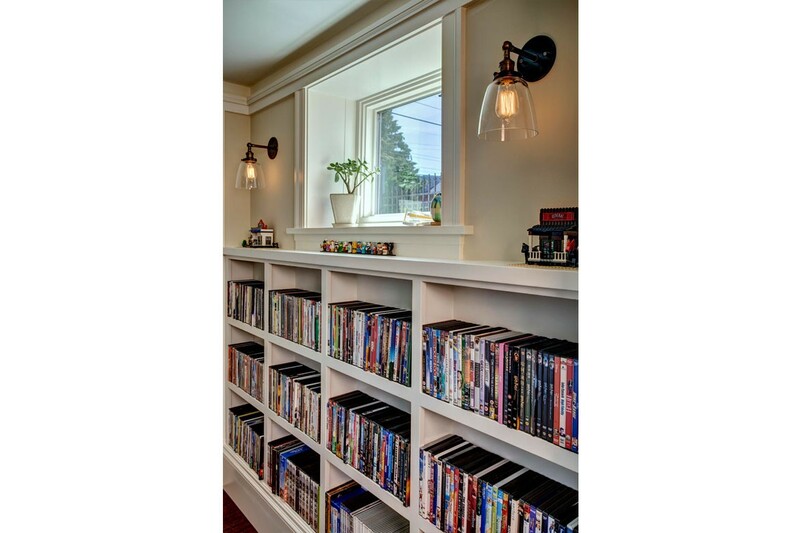 The idea here would be to create shelving or built-ins around the window. 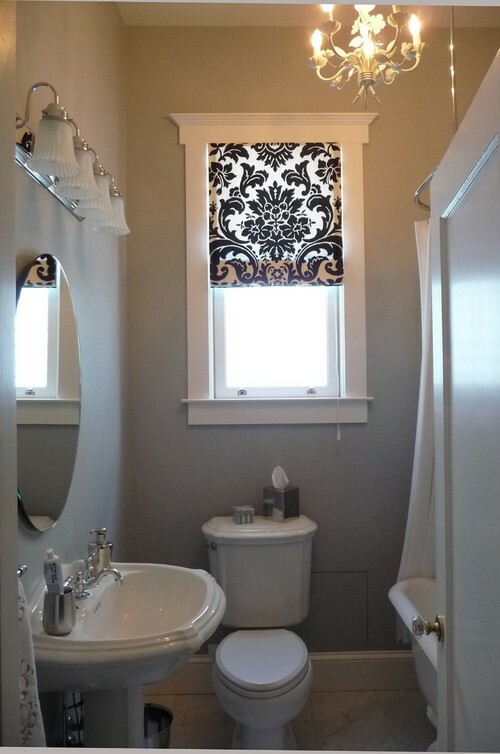 Privacy can be achieved by placing decorative objects in front of the window or for greater privacy you may treat the window with a small scale blind/shade or shutter that is the same color as the surrounding area. 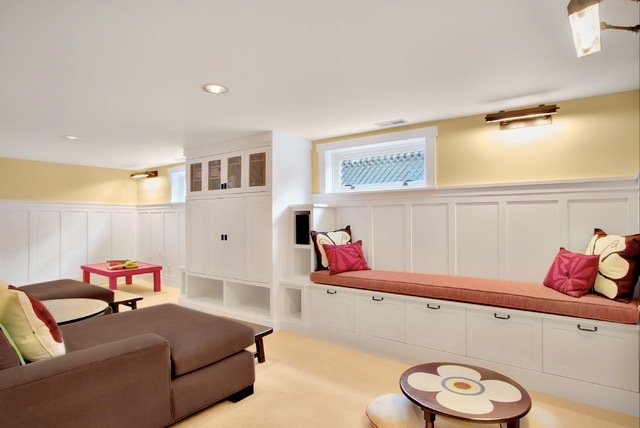 Built-ins can include cabinets that will increase storage of your belongings or appliances, it could also be a window seat or shelving for books or video collections. A cost effective idea would be to trim the small windows with wide decorative trim. This approach gives the illusion of a larger window. At this point you may keep this widow untreated and contrast the paint on the walls to show case the window or you can now put a window covering on the outside of the trim giving the illusion of a much larger window. 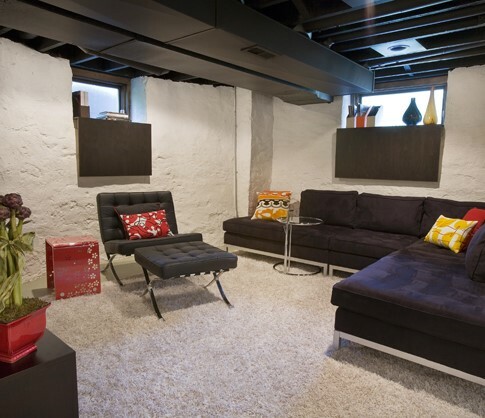 Also, a small window that is proportion to the space is easier to balance. Another important design element to remember, try keeping head heights of all windows in the room the same when possible. 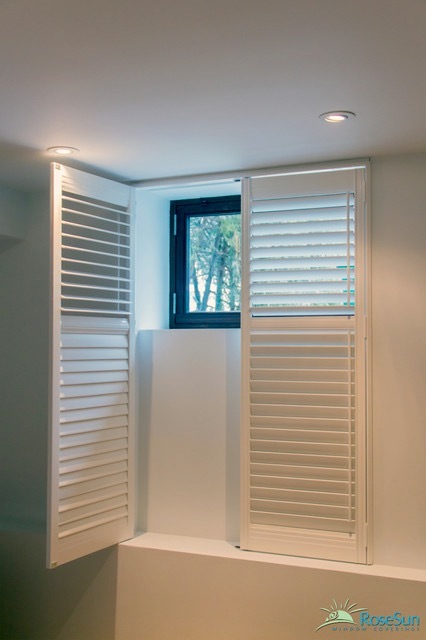 Fool the eye, install a much longer plantation shutter with a divider rail, the upper portion can be tilted in the open position to allow for light and the lower portion would remain closed to give the illusion of a much larger window. You can also install a light source in the bottom portion for a more realistic look during daylight hours. Install stationary side panels 10-12" beyond the trim on a narrow window to visually increase the overall window size. The basement window is always a challenge. You can make it blend in or you can play up on the oddity of the window. 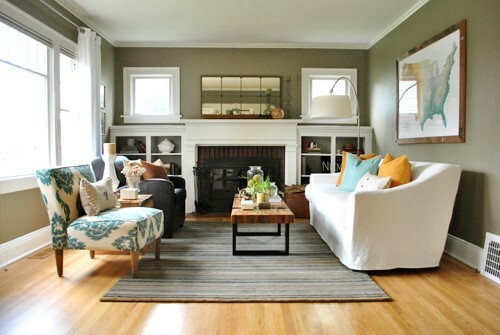 To make it blend in just forget it exists by painting the trim the same color as the wall. To play up on the window hang medium to large quirky, artsy pictures below it, this will draw your eye to the picture not the window. 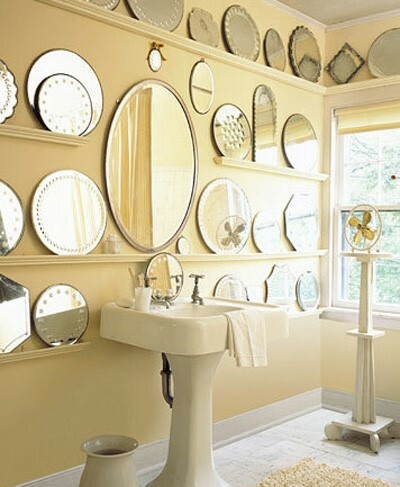 Don't be afraid to arrange numerous shaped mirrors to the wall space around the window. 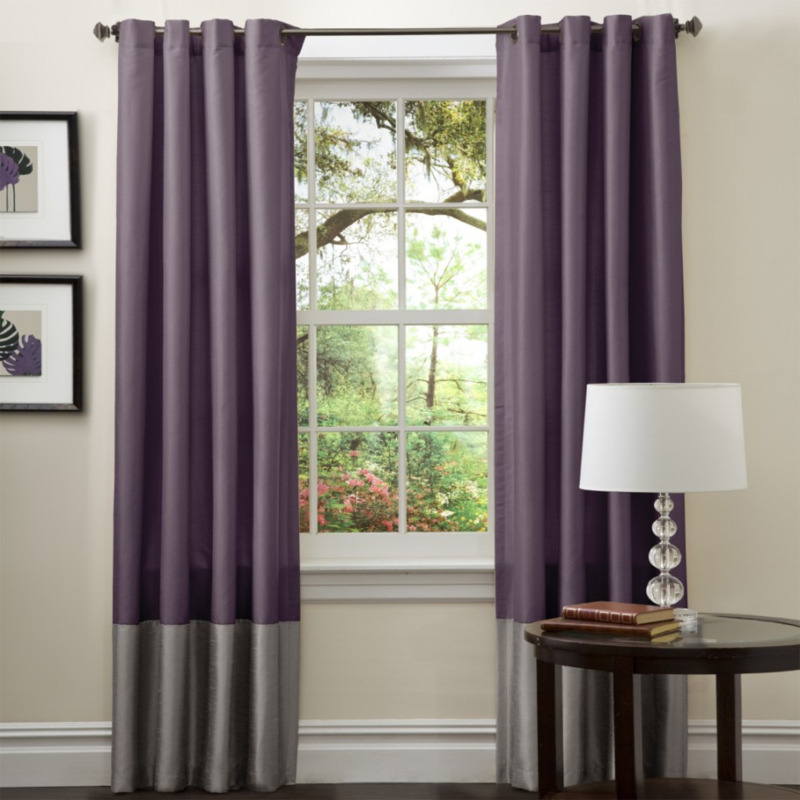 You may also want to put a window treatment with a dramatic fabric as high as you can mount above the window. Sometimes it is the unusual that makes the greatest impact. Try to break out of the typical mold when designing around a small window. When doing so do not neglect design principals of balance, harmony, color and proportion. Most of all have fun!